Published: Jan. 30, 2015 at 02:34 p.m. 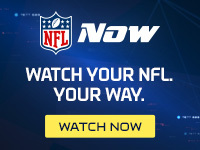 Updated: Jan. 30, 2015 at 02:53 p.m.
On Thursday's edition of Super Bowl Live, NFL Media analyst Daniel Jeremiah billed the Rob Gronkowski-Kam Chancellor clash of the titans as a matchup of the two most intimidating players in the NFL. That's not just a far-fetched page out of Don King's hype book; of all great tight ends in history, Gronkowski is the most freakishly physical at 6-foot-6 and 265 pounds. Chancellor was described by one teammate as an "animal, beast, anything that eats mammals." Chancellor is the lifeblood of a team that is at once the NFL's most physical and most philosophical, head-hunting while inspiring teammates to brotherly love. Richard Sherman and Earl Thomas, decorated with the gravitas of a combined six first-team All-Pros, hail Chancellor as the forceful lion who commands the Legion of Boom's unruly hyenas on football's Serengeti. "We're some bad men when he comes," Sherman said. "He just brings that menacing force. We're a pack of wild dogs and they're pretty dangerous, but a lion running with a pack of wild dogs, that's something." When these two teams met in Week 6 of 2012, Chancellor had primary coverage on Gronkowski, with linebacker K.J. Wright taking over on shallower middle routes and free safety Earl Thomas providing extra cover on a pair of end-zone targets. Although Chancellor is known primarily for his bone-crunching hits (picture Demaryius Thomas in Super Bowl XLVIII or Mike Tolbert in the Divisional Round of this year's playoffs) and excellent run support, his coverage skills have noticeably improved since returning from a nagging ankle injury in mid-November. "I've said this several times," Sherman emphasized Thursday, "but he should have been All-Pro this year, first team, and I don't think it was even close." What makes this matchup so riveting, though, is the sheer physicality. "We talk about hitting in the strike zone," defensive coordinator Dan Quinn said Wednesday. "Just like when you're throwing your fastball absolutely as hard as you can. We're trying to hit somebody in the strike zone absolutely as hard as we can. And (Chancellor) is our fastball pitcher, for sure. He's our closer, coming in throwing high 90s at the end of the game. He's that one that brings gas." Seahawks cornerback Jeremy Lane's delusional derision notwithstanding, Gronkowski has been the NFL's most valuable non-quarterback since entering the league in 2010. The offense's answer to J.J. Watt, Gronkowski was "built in a lab" or "pieced together by the football gods," as NFL Media's Nate Burleson quipped earlier this season. No one player can stop him on the gridiron. "He really has all of the elements that you're looking for from a big-time tight end," Seahawks coach Pete Carroll said this week, "every aspect of it." Over the past three years, Tom Brady's statistics mirror Andy Dalton's when Gronkowski is off the field and rival Aaron Rodgers' when the unanimous All-Pro is fully healthy. The Patriots averaged 20 points per game in the first four weeks, with Gronkowski dragging his surgically repaired knee around. Since Gronk's return to every-down status in Week 5, that average has sky-rocketed to 35.3 per game. Similar to Dan Marino and Eric Dickerson at quarterback and running back, respectively, in the 1980s, Gronkowski has rewritten the early-career expectations for tight ends. Tight ends are no longer compared to Kellen Winslow, Mike Ditka or John Mackey. Gronkowski has broken the mold. "Epic" and "violent" are two words used by Seattle players this week to paint a picture of the Gronkowski-Chancellor matchup. "It's going to be loud, I'm sure it's going to be loud," Sherman said. "Two big, strong men -- I think that's what football is about. I think a lot of people are looking forward to that." The Seahawks' historically great defense will have its hands full with Gronkowski on Sunday. As NFL Media analyst Bucky Brooks points out, however, the Seahawks' physical approach has a tendency to wear down big-bodied pass catchers. Carroll bolstered that point, citing the physicality of Chancellor and the length of Wright as an advantage other teams don't have. Better yet, Carroll's is the rare defense boasting 8-10 starters capable of taking over a game. In Chancellor, Sherman, Thomas, Russell Wilson and Marshawn Lynch, Seattle has a handful of players likely to receiver Hall of Fame consideration down the road. In Gronkowski, though, the Patriots have the luxury of the one player in Super Bowl XLIX who already has a strong claim as the best to ever play his position. That's a major upgrade from their previous five postseason games (including Super Bowl XLVI), which Gronkowski has missed with a high-ankle sprain, a broken forearm and a torn ACL. The Seahawks have a chance to slow Gronkowski on Sunday. But it's going to take a collective effort featuring Chancellor's size, Sherman's playmaking ability and Thomas' speed.